The Lloyd Hotel in Amsterdam has assembled its furniture from exquisite design pieces. 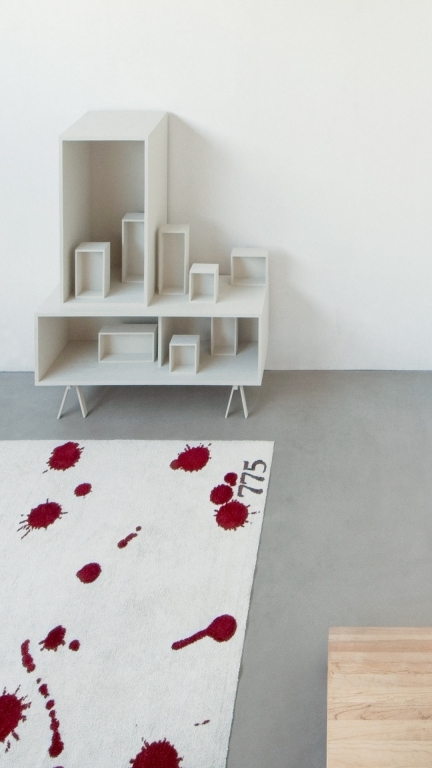 In the Hotel a series of carpets is presented, that was developed by INAMATT. 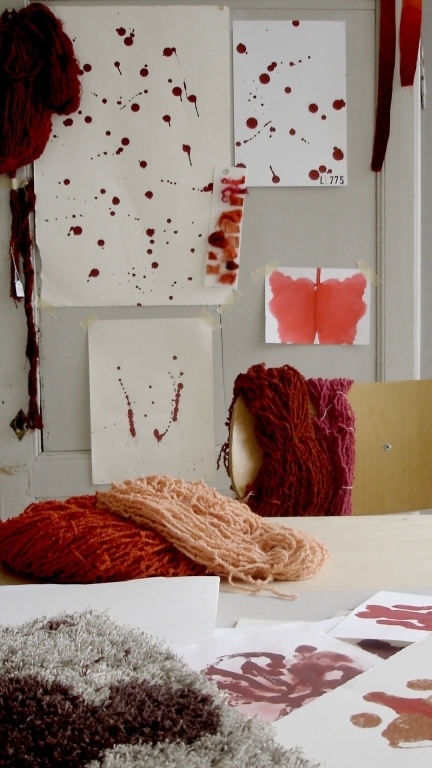 The carpets are dyed with the use of rubia natural dye, an experiment firstly successfully executed by INAMATT. The design of the eleven pieces is inspired by the human mind, in all its facets of order and also disorder. Referencing the past of the architectural landmark that is the Lloyd, that served many purposes, amongst other that of a psychiatric refuge, the carpets feature Rorschach patterns and splashes of random Pollock style paint.